HISTORY OF ASBESTOS “INEXTINGUISHABLE” Asbestos is a naturally accruing mineral dating back the society of the ancient Greeks. It got its name from the Greek word meaning “inextinguishable.” Asbestos is comprised of very fine fibers and that are highly resistant to the transfer of heat. Weaving the fibers together makes a highly tolerant fabric, which has been used for the insulation of pipes and machines in factories and even homes. The Greeks were the first to document using asbestos, and to discontinue using it after they witnessed the harm asbestos inflicted on whoever worked with it. However, at the start of the Industrial Revolution, the Greeks’ observations were ignored and asbestos was once again an insulator for pipes, machines, and buildings through out the world. The first documented health related case of asbestos was in 1924. A woman who was working in a factory, which fabricated products comprised of asbestos, became very will. She was diagnosed with “asbestosis,” shortly after; she died at the age of thirty-three. Afterward, more cases of premature mortality kept appearing, particularly in towns that had asbestos mines. Then regulation regarding asbestos became more stringent after the corporations paid 300 million dollars of lawsuits to the victims of asbestos for asbestos related mortality. Eventually, the use of asbestos would be outlawed in many countries. Even though, the affected persons of asbestos have been fighting for the cessation of use of asbestos, there are still developing regions around the world that continue to use it and there are still people who fall victim to the same disease that M. James “Rhio” O’Conner did: Mesothelioma. MESOTHELIOMA The start of mesothelioma begins with the inhalation of asbestos fibers. The inhalation of the microscopic fibers allows them to enter the lungs and penetrate the protective lining surrounding the lungs: the mesothelium. The human body is defenseless against these fibers, as it is unable to translate the fibers out of the body. The fibers remain in the body and provoke mesothilioma. To find out if anyone has mesothelioma is a series of three steps. The first is an interview to determine if the patient to determine the probability of mesothelioma in the patient, this consists of history of the person to determine the frequency, and duration of exposure to asbestos; they are both directly related to the inhalation of asbestos fibers. The higher the frequency and the longer the duration of exposure will directly vary with the quantity of fibers inhaled and the possibility of the patient contracting mesothelioma. Then, chest x-rays are taken of the patient with a possibility of having mesothelioma. The doctors look for areas in the lungs with thickening, fluid collections, and mineral deposits, which are all signs that point to mesothelioma. Then the final test is to sample the actual tissue of the flesh from the area of concern, which requires a very painful procedure. If the results come back negative that is always great news, but as in the case of Mr. James “Rhio” O’Conner, they were not in his favor. 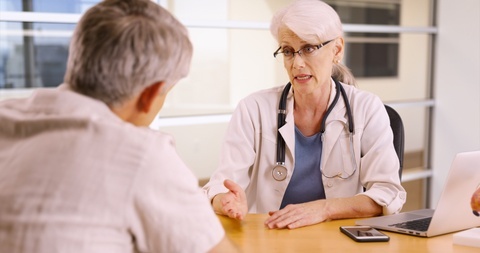 After being diagnosed with mesothelioma, he was also confronted with the fact that the traditional treatments for mesothelioma would be more of a hindrance to his health than a help. 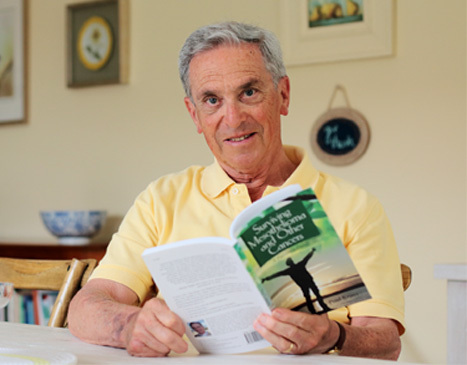 Instead of giving up, he was resourceful and researched alternative ways to offset his cancer and in doing so, he lived several years past his original prognosis. His decision to pursue his own solution inspires me to do the same with my problem. RHIO’S INFLUENCE ON MY LIFE How Mr. James “Rhio” O’Conner influenced my life is simple, he inspires me to believe in myself. The lesson I have learned from reading about his tremendous effort in order to find his own solution, which helped him live over six years past his prognosis, is never give up. I have a problem too; it is my lack of self-confidence. Not having confidence in me has made a deep wound on my life both socially and physically. My story starts from my childhood: one of two children of a single mother. Although, my mother was very loving, I still felt unwanted from the absence of a father. Then around eight years old, I became very fat. This became another great factor of self-consciousness and it perturbed my lack of self-confidence because I was jeered and harassed for my shape. With all of these factors building upon each other, I began to believe that I was worthless and incapable, and today, I sometimes fall back into that feeling. In fact, I was almost unable to write this essay because writing it brought up some of those feelings of worthless. However, reading about a man who was faced with death and did not give up living life, gives me hope in my life. Like Mr. O’Connor, I am using my resourcefulness to take steps in strengthen my self-confidence. The first major point is taking care of my body. I have been reading up on the different types of bodies, and figured out what would be a healthy regime for me. I am still on the chunky side, which still provokes a lot of the self-consciousness. However, I take great pride in the fact that I am reducing my waistline with combination of strength training, cardio sessions and most importantly, monitoring my nutrition. I have also been developing self-confidence by pushing myself to do scary things, like playing my guitar in public. Sometimes I will play songs of earlier musicians, but I really get more enjoyment from playing the songs I have written myself. Even though I may never have complete confidence in everything that I do or say, I will always know that I am capable of anything and I become very happy when I can see even the smallest sign of growth. I can see the evidence of my progress in life with aspects such as the fact that I taking care of my body, I can play my guitar in public and that I have friends and family who will support me in anything I want to do. From this evidence, I have confidence and I will use it to fight through future challenges in my life. Additionally, I have Mr. O’Conner’s life to look upon for inspiration. Now when I do feel like the world is too difficult for me and I start to doubt my capabilities, I can think to a man who did what seemed impossible, and I will know that I can do what seems impossible to me. “History of Asbestos.” Asbestos Resource Center. Web. 14 Feb 2010. “Mesothelioma.” Mesothelioma.com. 16 Dec 2009. Web. 12 Feb 2010. O’Conner, James “Rhio”. They Said Months, I Chose Years: A Mesothelioma Survivor’s Story. Print.